Horse Complete Feeds There are 16 products. 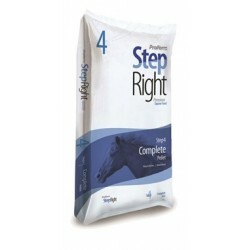 HI-PRO Step 1 Start Right Ensure you give your foal the right start with Step Right. Start Right is an extruded feed designed specifically for lactating brood mares, foals and weanlings. HI-PRO Step 2 Peak Extruded The original high fat performance feed! Suited to the needs of performance horses, growing horses, stallions and hard keepers, Peak Extruded is great for horses engaged in heavy exercise, or those horses requiring additional energy intake for metabolic reasons. HI-PRO Step 2 Peak Sweet 10 Peak 10 is a sweet, texturized, high-energy feed designed for performance horses, growing horses, stallions and hard keepers. Great for horses engaged in heavy exercise, or for those requiring additional energy intake for metabolic reasons. HI-PRO Step 3 Classic Sweet Classic Sweet is a sweet, texturized feed designed for mature horses under light to moderate exercise loads, according to body condition. HI-PRO Step 4 Complete Pellet Complete Pellet is a pelleted, high fibre feed designed for mature horses where forage quantity and quality is limited. Feed to mature horses as a partial forage replacement. HI-PRO Step 6 Senior Complete Feed designed to make your horse feel young again. Senior is a blend of extruded and pellet feed, created to address the unique dietary challenges faced by senior horses, hard keepers or mature horses having difficulty maintaining condition. HI-PRO Step 7 Equine Supplement Pellet A complete, pelleted vitamin and mineral supplement, Equine Supplement is intended for horses consuming non-complete feeds such as ProFibre FX, oats or COB (corn, oats and barley). Equine Supplement is also suitable for horses on pasture, over-conditioned horses and horses with low energy requirements. HI-PRO Step 8 HI-Fat A high fat, high fibre, low NSC extruded horse feed for horses with higher energy requirements or special nutrient requirements. Low sugar feed for sugar sensitivity. Infused with pure non-hydrogenated canola oil and rice bran. 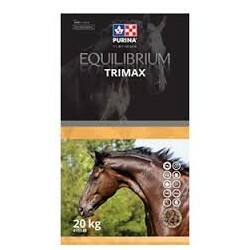 Equilibrium Trimax is a high caloric, low glycemic, multiparticle feed(contains pelleted and extruded components)for equine athletes and hard-keepers. 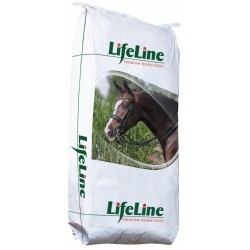 Otter Lifeline Equi-Cal Pellet Equi Cal will have plenty of calories with no molasses and no grain so it allows horses to remain calmer (controlled energy), while putting on weight and performing within reason. 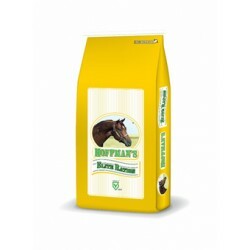 Great for performance horses to maintain weight and build muscle mass. 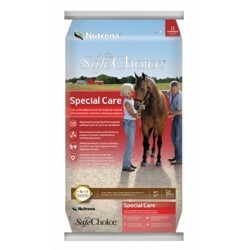 Nutrena Safe Choice Special Care SafeChoice Special Care is specially designed for horses that are prone to metabolic issues related to starch intake, and is formulated at just 11% starch. If you're looking to avoid corn in your horse's feed, SafeChoice Special Care is the perfect choice. It's also ideal for easy keepers, ponies, and miniature horses.